Sweeney Renewables offer a range of plumbing and heating services nationwide. They wanted to expand and grow their business by moving online in order to build brand awareness and reach their desired target market, informing them of the services that they offer. A strong strategy was required on this long term project to generate results. Through a focused strategy Finn Media worked on various online activities to achieve the required results. 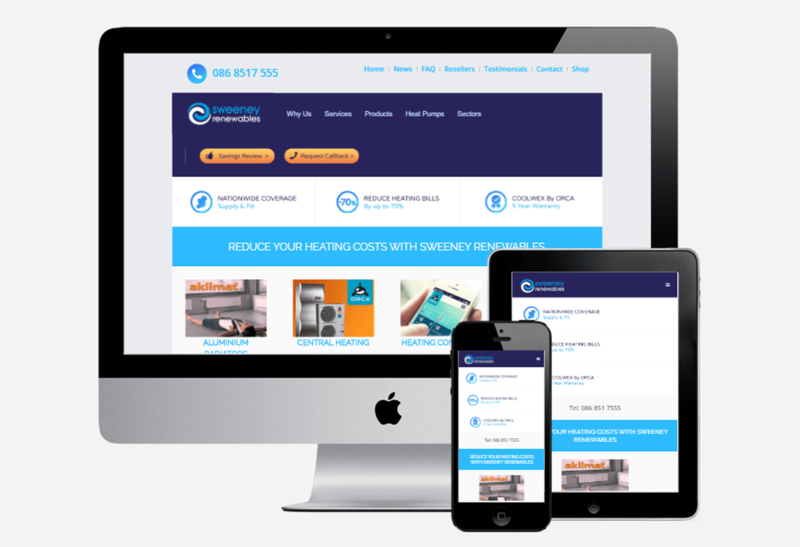 We worked on the UX design of the website to ensure the services that Sweeney Renewables offered were clearly communicated with clear call to actions that we could measure where the leads were coming from. We focused on a range of strategies to get traffic coming to the site by those looking for the services that they offer, via PPC Advertising (Google Adwords), Organic SEO, email marketing and re-marketing campaigns.